On October 1, 2017, a Florida law went into effect that imposes criminal liability in a somewhat unusual way: Fentanyl, a potent and deadly opioid, will now be included in the state’s murder statutes, which means that a dealer can actually be convicted of homicide simply by selling the drug. The Orlando Sentinel reported that law enforcement officers will have more options and better chances to prosecute dealers, though there are still challenges in obtaining convictions. The primary hurdle will be having a medical examiner testify with a high degree of certainty that the main cause of a victim’s death was consumption of fentanyl. The law has generated some controversy, but as long as it’s in effect, there can be serious consequences for a conviction of Florida homicide through drug trafficking. Contrary to other first degree homicide offenses in Florida, felony murder does not require a prosecutor to show premeditation on behalf of the offender. All the state must prove is that you killed another human being while engaged in committing or attempting to commit a felony designated by statute. Distribution of Controlled Substances and Trafficking in Controlled Substances are both on this list. Note that your intent to kill is irrelevant for purposes of First Degree, Felony Murder. Determination of a sentence comes down to the prosecutor’s option: The state can waive the death penalty under certain circumstances, and choose to seek a life sentence. If the prosecuting attorney opts to not seek the death penalty and you will be imprisoned for life, there is no possibility for parole. 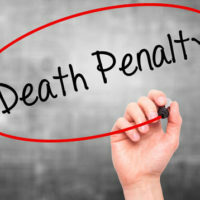 The verdict in the penalty phase is only advisory, which means the judge will make an ultimate determination on death penalty versus life in prison. With the passage of the new law holding dealers responsible for fentanyl deaths, prosecutors have additional options for pursuing offenders. If you’re facing charges, it’s important to retain a knowledgeable attorney that has extensive experience defending against drug crimes – and any homicide allegations that may be associated with trafficking activity. To speak with a lawyer about your case, please contact the Fort Lauderdale office of Kevin J. Kulik. We can answer your questions or set up a consultation to review your options.